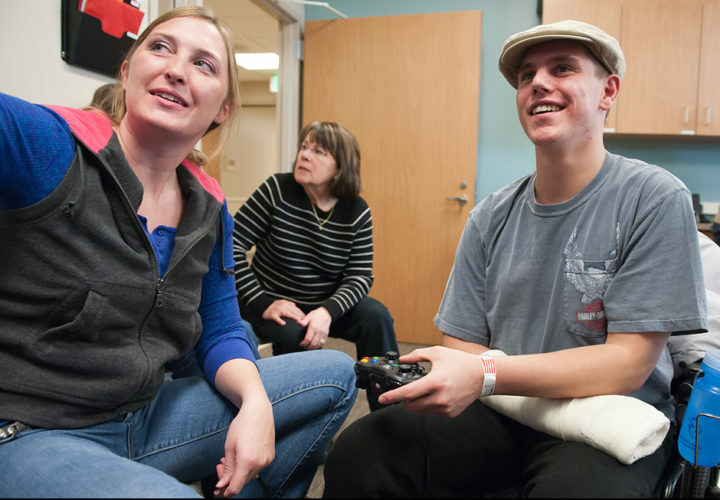 Craig Hospital patients are among the two-thirds of Americans who play video games. 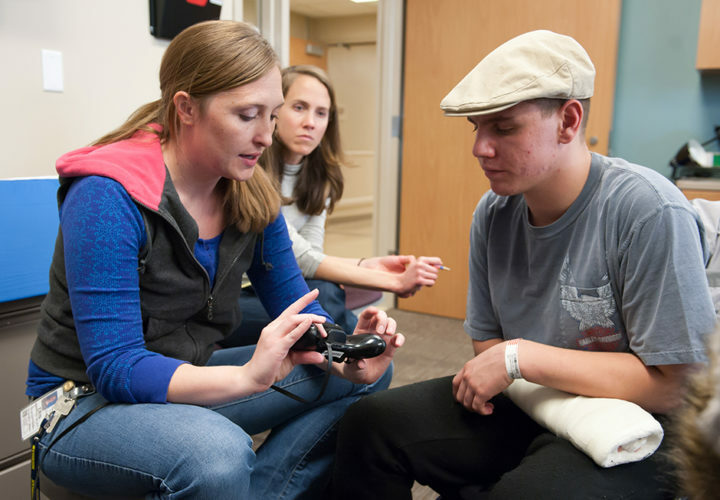 Yet because of their injuries, many of our patients have difficulty operating their gaming controllers. The Tech Lab works with them to find gaming options and equipment that best meet their interest and abilities. Our patients not only have fun, they also benefit from the therapeutic aspects of gaming, such as planning, organizing, time management and problem solving. The key to accessing and enjoying the world of gaming is through the controller. In the past, resourceful gamers had to adapt these devices; today, more manufacturers and organizations are taking the lead. Accessible Gaming Shop - Features OneSwitch products, various controllers including a one handed gaming controller as well as information and links to others dealing in accessible gaming. Available for most gaming systems; access options include large switches, as well as eye, mouth or head control options. Ben Heck - Markets single-handed controllers and Xbox One and Xbox 360 controller monitors. 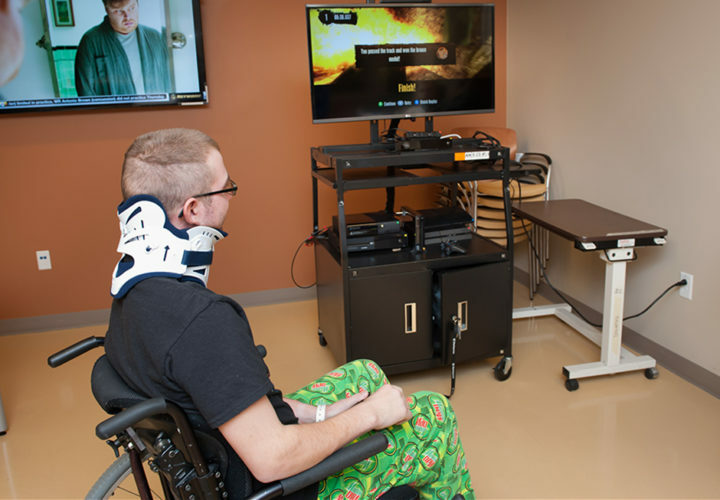 Bluetip Gaming- Ideal for gamers with extremely limited mobility such as C5 spinal cord injury. Available for Xbox 360, Wii and PS3; modified controllers with larger buttons and adapted joysticks. Broadened Horizons - Broadened Horizons unique video game controllers allow anyone, regardless of ability or disability, to play competitively as an equal. Available for most gaming systems; access options include button style switches, sip ‘n puff switches and head control options. Dragon Gaming Speech Pack - Software sold by Dragon Naturally Speaking that works with Dragon Naturally Speaking to use your voice to play video games. Edimensional Compatibility - Access Controller compatible with the Playstation 2, PS3, Xbox 360 and PC platforms (Controller is automatically compatible with the PS2 and PC). Allows total control of games with one hand. Evil Controllers - Modified and customized controllers for Xbox One, Xbox 360, PS3 and PS4. Some can be used by one hand or are switch-activated. They include features such as auto-aim or rapid-fire. Mayflash F300 Arcade Fight Stick: Compatible with PS4, PS3, Xbox one, xbox360/PC, and android. This product’s larger buttons and joystick may be easier to access if you have limited dexterity. Not: This controller only provides users with the left joystick function, and not the right. QuadJoy Joystick - Software upgrade allows the unit to function as a Microsoft 16 button X-Y-axis joystick. The 12 puff and sip functions can be programmed uniquely when in joystick mode. Users can purchase additional software to improve their ability to use the Quadjoy for PC gaming. Quadstick: this mouth-operated game controller for quadriplegics is compatible with the PS3, Android and many PC games that use a joystick, mouse or keyboard. It can also be used as a mouse and can control other infrared devices. The Quadstick web site features a large user forum as well as downloadable controller profiles for specific games. R.J. Cooper - Multiple options for custom controllers which include button location, size, larger joysticks and mounts. Say 2 Play - Enables voice control for the world’s most popular PC games. Voice Attack - Used with Dragon Naturally Speaking speech recognition software, the Gaming Speech Pack instantly executes your desired action with amazing recognition accuracy. Xbox Adaptive Controller - The first adaptive controller designed and manufactured at large-scale by a leading technology company, the Xbox Adaptive Controller allows gamers with limited mobility to play their favorite games on Xbox One and Windows 10. 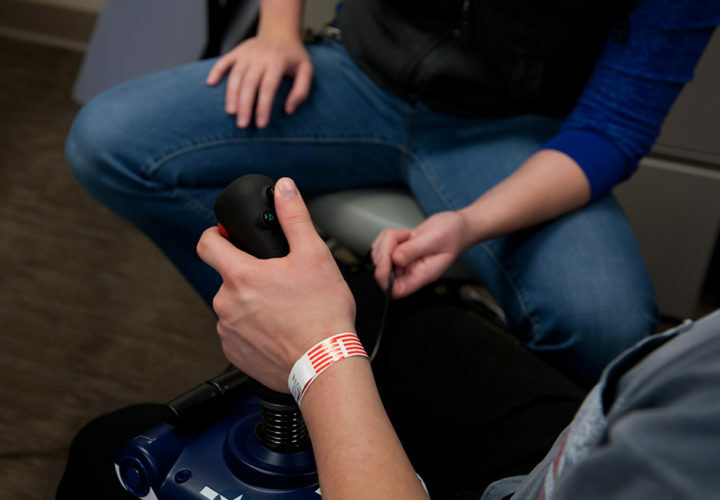 Players connect external devices such as switches, buttons, mounts, and joysticks to create a custom controller that meets their needs. The controller can also be customized using Button Mapping and Copilot features using the Xbox Accessories App. Compatible switches and USB devices can be found on the Xbox website. 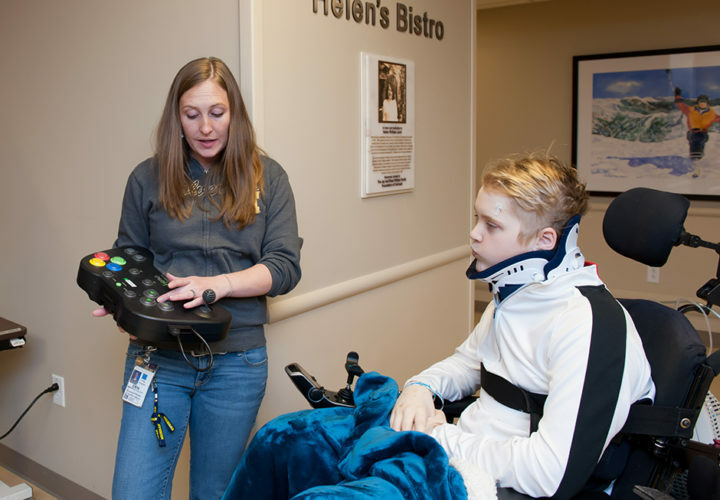 This controller was developed with input from a variety of adaptive gaming organizations, including therapists at Craig. Ablegamers- provides the largest database of mainstream videogame titles, complete with reviews focused exclusively on the accessibility of a given title. Accessible Gamer - gaming site for people with disabilities. Also provides reviews of games and equipment. Accessibility and Kinect for Xbox - features games that work better from wheelchair level. Click HERE for XBox One; HERE for Xbox 360. D.A.G.E.R. System - Source for accessibility reviews and video games. r/DisabledGamers – Reddit message board for posting links and questions about game accessibility. GameFly - Great tool for researching controller configurations and trying games before you buy them. Game Accessibility - aims to inform disabled gamers about the availability of accessible games, and acts as an academic resource for developers, publishers and researchers to stimulate accessibility in games. Game Forward - launched in 2008 as a blog focusing on Game Accessibility by an avid gamer with Cerebral Palsy, this site has expanded to include coverage of Serious Games, Health & Fitness Games, Educational and Training Games, and Virtual Worlds. International Game Developer’s Association - wants to make video games playable for everyone, especially gamers with disabilities. One Switch - UK-based resource of fun ideas and assistive technology aimed at moderate to severely-disabled individuals. Special Effect - UK-based charity that promotes accessible gaming. They have a helpful YouTube channel with videos and examples of adaptive controllers. Warfighter Engaged- Non-profit organization devoted to improving the lives of severely wounded veterans through personally adapted devices. 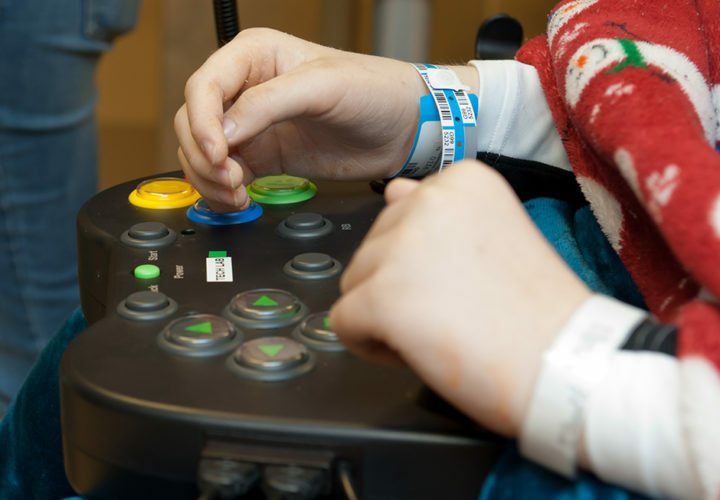 They modify video game and RC vehicle controllers and their support page includes other resources related to adaptive gaming. Sometimes the best way to understand adaptive gaming is to see how others are doing it. 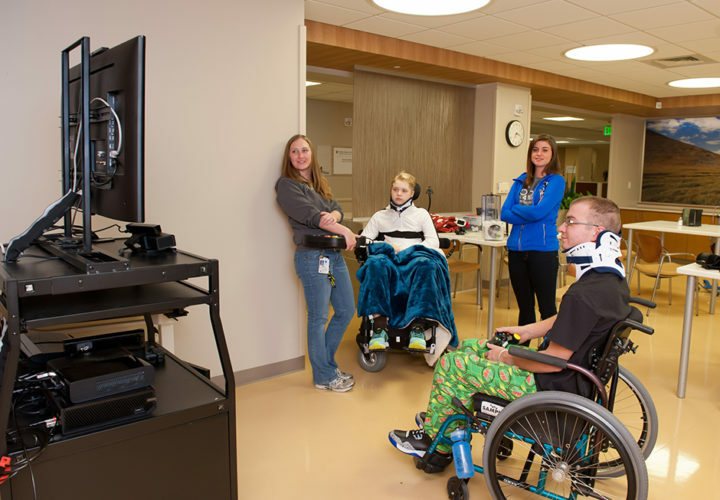 See the media gallery below for a few videos of people using adaptive ways to play video games. NoHandsKen: A computer gamer and quadriplegic with his own Youtube channel. Ken talks about what a difference gaming has made in his life. Quadilious: A computer gamer and C4-5 quadriplegic who also has a Youtube channel and website. This video shows his basic setup to play World of Warcraft. Labeef Gaming: Craig Hospital alumni, Grant Rustin, explains how he plays games on the computer and on his Xbox One. Grant regularly posts gaming videos to his youtube channel. We Learn From Our Patients, Too! We were having trouble connecting with a young man recovering from a severe spine injury. Traditional therapies weren’t working. He was depressed, didn’t talk to other patients and seldom came out of his room. I learned the thing he missed the most in life was playing video games. We set up his bed, television and wheelchair so he could access his computer. Soon he was teaching me how to play World of Warcraft. His spirits soared and he began hosting competitions with other patients, having fun, doing what he loved. 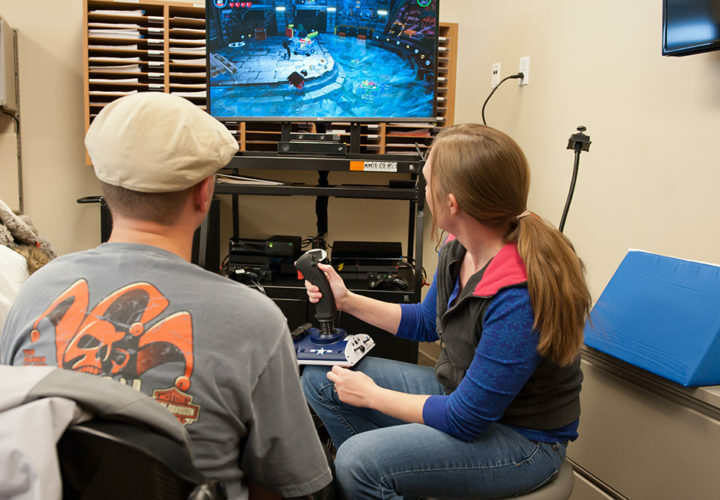 We have since started an adapted gaming program in the Tech Lab and have received grants for more equipment and software. Today, everyone at Craig Hospital can benefit from that patient’s singular passion in life. He literally changed all of our lives.